November is less than a week away and many of you must have made plans to take part in the NaNoWriMo. Surely there’s no worse time than now to be riddled with self-doubt. 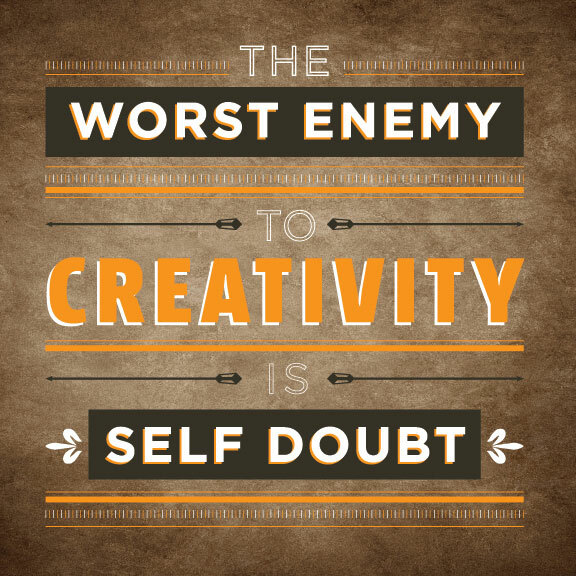 Sylvia Plath had it right when she said that ‘the worst enemy to creativity is self-doubt’. Today, we talking about small steps you can take to stamp out self-doubt. Never compare yourself to others – Easier said than done, but remember comparison is not just the thief of joy, but it robs you of your ability to see your own talents and use them effectively. 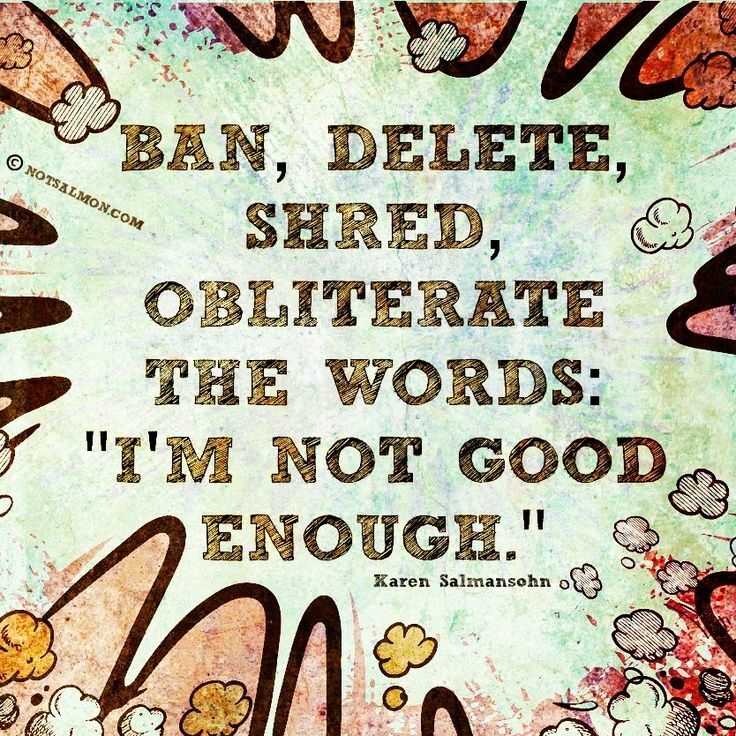 Keep self-affirmations handy – Since a lot of self-doubt stems from what we say to ourselves, it’s important to re-engineer our brains to think positively. Write down a whole lot of self-affirmations – make posters, use them on your desktop, put them on your devices – reminders that you can write that book. You’ll find some affirmations here – personalize them before you use them. Seal up the self-doubt gremlin – If you’ve read Anne Lamott’s ‘Bird By Bird‘, you’ll recall her suggestion to pick up the self-doubt gremlin and throw him (oh yes, it’s always a ‘him’ 😉 ) into a jar and seal the lid! That way you’re not going to hear his voice at all! To get more practical, write down on slips of paper all that the voice of self-doubt tells you and put those slips into the jar! And of course, the grand-daddy of all tips to stamp out self-doubt – Keep Writing. Remember, writer’s block is just a convenient excuse. Just share your thoughts with us – happy, sad, philosophical, ‘silly’ even. Join my co-host, Richa Singh of The Philosopher’s Stone and me for #MondayMusings today. I’m a fan of affirmations. I think if required you could find something to write about but sometimes you just need to take a break. Very helpful article, Corinne. Comparing with others will ruin the confidence, very true. Thanks for the timely reminder not to fall into the comparison trap. I was just beating those gremlins down this morning! I remind myself what I heard a couple of years ago. Write what’s on you heart. Your audience will find you. “Never compare yourself to others”. That’s the root of the problem, for the most part. I’d say. We are all unique individuals, with different styles. These are wonderful tips, Corinne. I’ve no plans to participate in NaNoWriMo, but this is good advice at any time. Guilty as charged but not as guilty as I used to be. The one thing that has helped me more than anything else is to consistently “see” myself as others see me and it creates new awareness and appreciation for what I do/say/am. Last year someone told me to put all my negative thoughts in a glass jar and close them tightly with a lid. It really works! Loved this post. That is such a wonderful and thoughtful post Corinne.. You really know how to lift up everybody’s spirits!